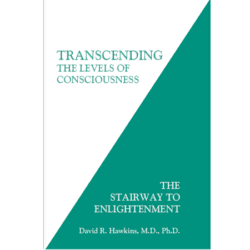 Dr. Hawkins newest book describes and explains advanced states of consciousness and the way to spiritual Enlightenment. 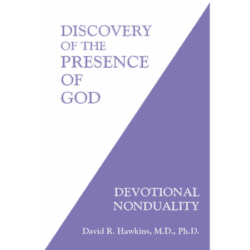 It includes dialogues with both beginning as well as advanced spiritual students worldwide. The nature of consciousness is described in terms that recontextualize and simplify the spiritual process itself, The nonlinear reality of the enlightened sage is thereby made comprehensible to the reasoning mind. 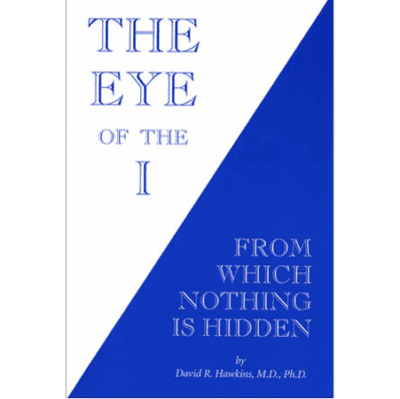 This exposition of the state of Enlightenment is both unique and explicit in that it does not hide specifics in spiritual generalities, which has been the style of traditional spiritual classics. 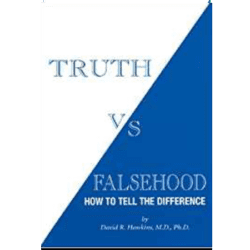 The scientifically minded reader will be pleased in that for the first time a cogent and verifiable means of confirmation of spiritual reality is provided via an ‘objective,’ reduplicative method of measurement based on physiologically derived clinical evidence. Whereas Power vs. Force calibrated at 850, The Eye of the I is more advanced and calibrates at 980, which establishes its level of spiritual truth. The teachings in The Eye of the I make clear why its author was given the title “Tae Ryoung Sun Kak Tosa” (“Foremost Teacher of the Way to Enlightenment”).